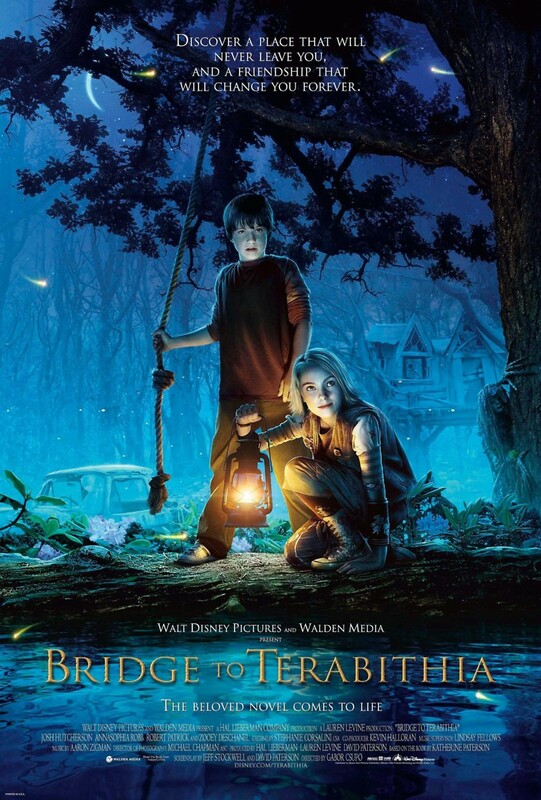 Based on the children's classic of the same name, Bridge to Terabithia follows the story of Jesse Aarons, a young artist who struggles to fit in both at home and in the fifth grade. Things start looking up when he meets Leslie, a tomboyish classmate who doesn't mind his poor clothes and imaginative games, and the two become friends. One day they happen across an abandoned tree house deep in the woods where they create "Terabithia," a fantasy world filled with monsters, ogres and kings, and life couldn't be better. All good things must come to an end, however, and when tragedy strikes Jesse's life, he'll have to draw on everything both Terabithia and Leslie have taught him in order to make sense of his changing world.